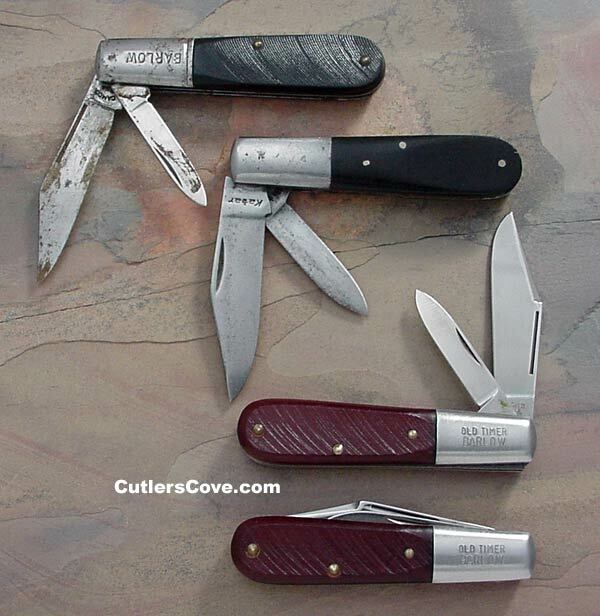 Barlow jack knives by Kabar, Ulster and Camco. All are excellent or better. We only have one of each knife to sale. Carbon steel. 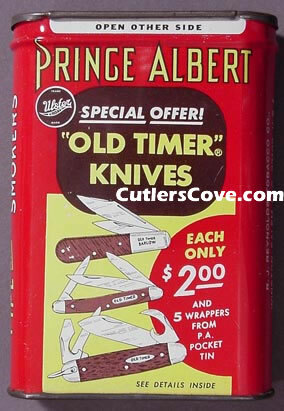 Prince Albert tobacco metal tin with Ulster Old Timer Knives offer on the can. Tin is sold and shown for information only.